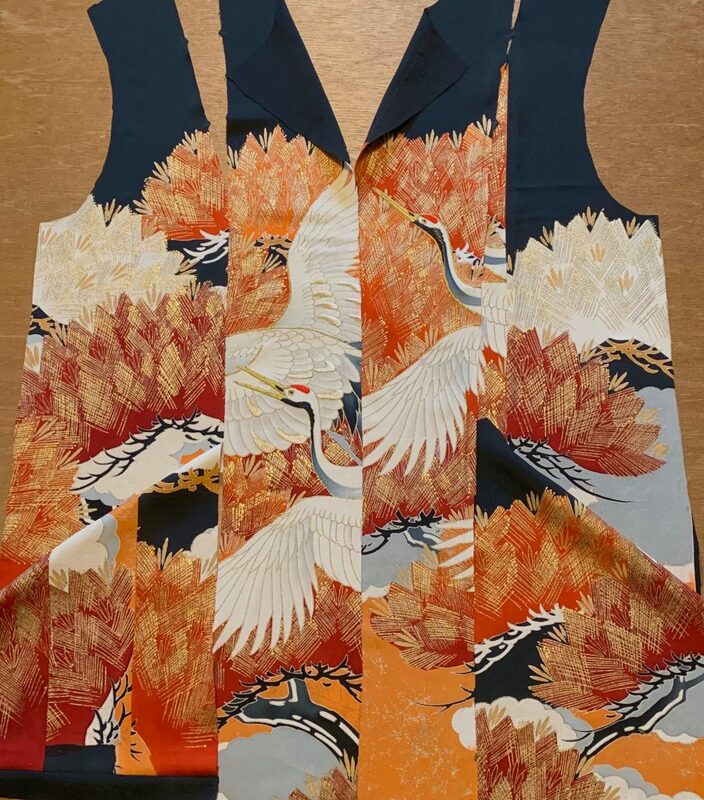 Still in pieces, a new trench coat from a beautiful old kimono with cranes and pine trees. 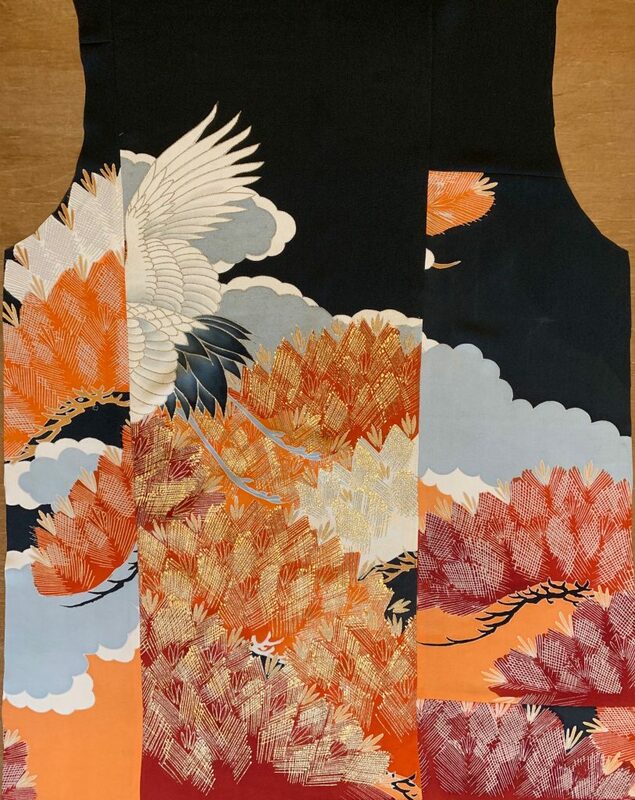 The back, with the last crane from the kimono flying just off and out of view. This is so satisfying! To start with an amazingly beautiful kimono but tattered and unwearable, take it apart and rework it into something new and usable. 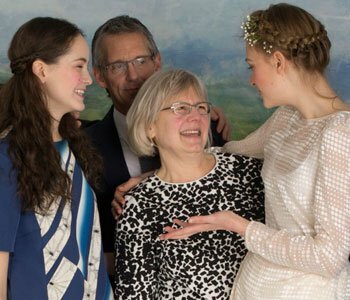 Is it for you Ann? Not for me. I’ll be bringing it to the Baltimore show and send it off into the world.